Instead of calling ourselves personal trainers, we prefer the term fitness coaches. When we work with our members, we aren’t just training them to be physically fit; we are coaching them on how to achieve the results they want. Each of our members has a personally-developed program and trains at the guidance of our expert coaches with other members going through their programs at the same time. Coaches will guide one to three clients at any time, making sure you have the support you need without the overbearing focus that can cause stress or anxiety. Change your life, not just your body, today by taking advantage of our multi-service coaching programs. The functional movement assessment is a set of seven full-body movement tests to identify dysfunctional movement patterns. The tests pinpoint the root cause of dysfunctional patterns as either a mobility problem or a stability/motor control problem. 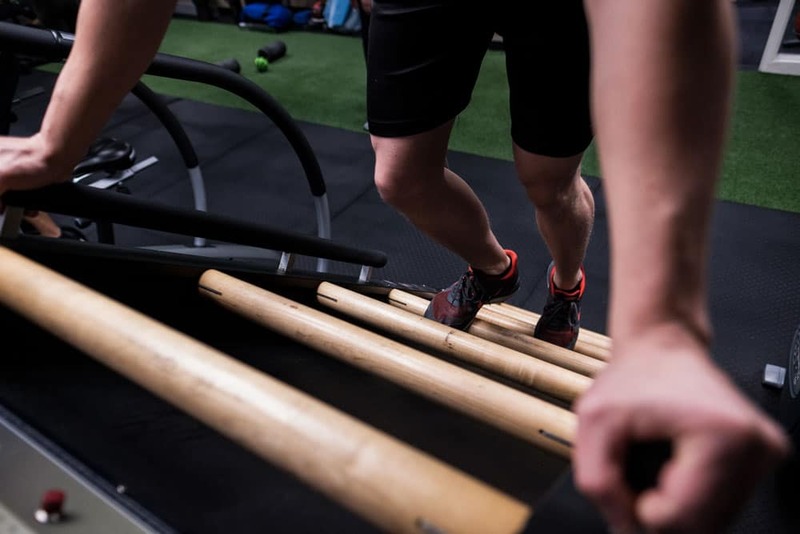 The assessment guides our program technicians in creating the best personalized fitness program to help you reach the goals developed at the start of your journey at Fierce. The functional strength assessment utilizes the main exercises in determining weight and resistance capabilities for each client. This includes determining the 1, 3, 5 and 10 repetition maximum for each client and then using these figures to develop the personalized fitness program. This is done at the start, in-between phases 2 and 3, and at the completion of each cycle, before new programs are developed. To thoroughly learn about your body and its composition, each client takes regular InBody assessments. In less than 45 seconds, the InBody not only examines the compositions of your body, but also reveals the percentage of body fat and muscle distribution; components that are key in understanding more about your body and the program developed for you. InBody machines are known to be one of the most accurate tests of your body’s composition, and we have one in-house and ready to help you. At Fierce, we aim to change your entire life, not just your body. 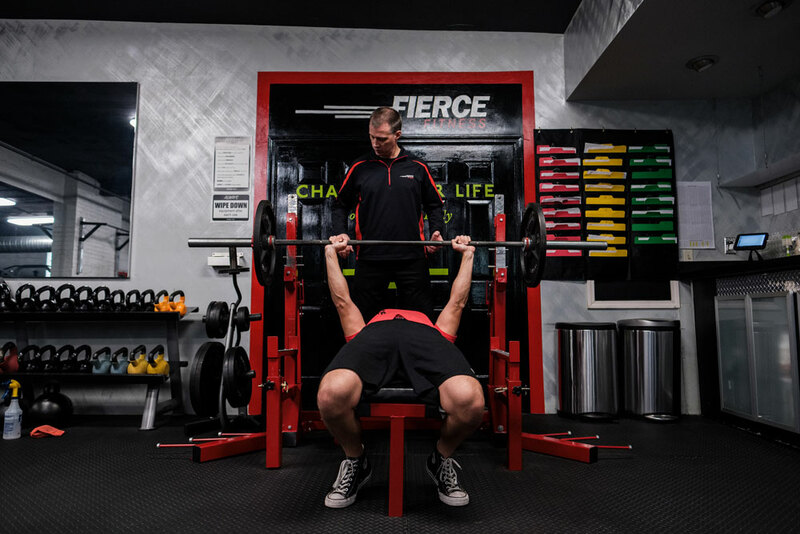 We start your life-changing experience at Fierce with a personal goal setting, not just centered around fitness, but with anything you would like to achieve in life. Change happens when we are consistent and at Fierce, not only will we focus on fitness constantly, but also any other goals you want to set. We do this by using the S.M.A.R.T. goal-setting technique. S.M.A.R.T. stands for Specific, Measurable, Achievable, Realistic and Time-specific. Once these are determined, we are ready to begin the process of changing your life! 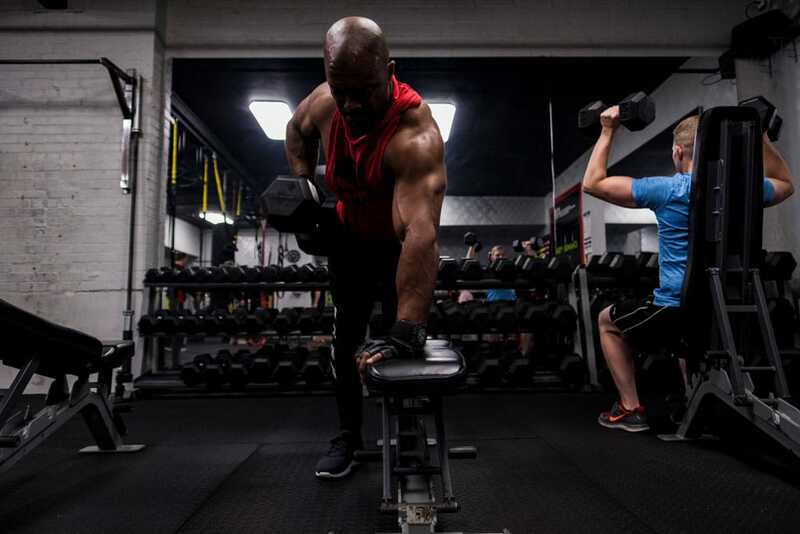 Fierce Fitness also has experience assisting natural body builders and fitness competitors in preparing for competition. We can assist with workouts and nutritional counseling to get you in top shape for your next fitness competition. Owner, Giovanni Preziuso has certification in both areas. He received the Bodybuilding and Contest Preparation Certification from the International Academy of Physique and Conditioning (IAPC).